Hope you’re well and eating good! 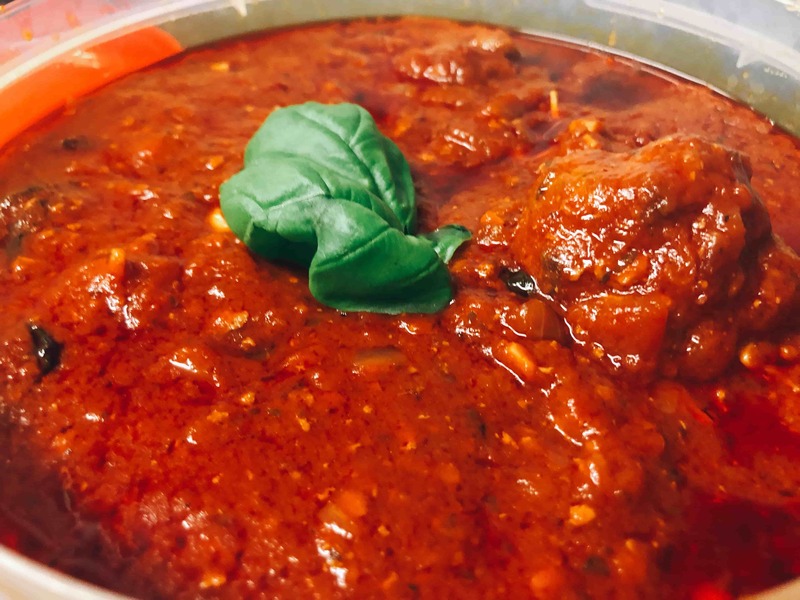 Today I have for you my recipe on the infamous Meatball Marinara. Check out my youtube video for the voice over! I get the juiciest meatballs through a couple methods like adding parmesan cheese to the meatballs as well as grated onions which results in the most tender and juiciest meatball. You can go wild with your favourite herbs and seasonings but I kept it simple with some parsley then some oregano and basil in my tomato sauce. This should be made to your tastes guys! You can use a stock cube instead of salt and pepper for an even better flavour for the sauce! For the browning of the meatballs I like to do it in a oven to save me from the dreaded broken meatball, it takes no time at all and all you need to do is preheat your oven to about 220c or Gas mark 5 and brown these babies while you start the sauce, everything works out beautifully! I like to use pasatta (sieved tomatoes) for my sauce however feel free to use tin tomatoes or whole tomatoes and crush them up yourself! In a bowl add in all the meatball ingredients and mix until combine, do not overmix! Mold the meatballs into balls and place on a baking tray, drizzle with oil and place in the centre of the preheated oven while we make the sauce. Place a saucepan on medium heat and add the olive oil, sweat the onions down for 2-3 minutes until they soften. Check on your meatballs, at this point they should need turning around. Next add in the passata and water (swish the water around in the can or jar to get the good bits into the sauce). Bring the sauce to a boil on high heat and stir occasionally for about 5 minutes. The meatballs should be nice and brown by now, add them into the sauce and simmer on low heat for 25-40 minutes. The longer the better!